This book offers an innovative perspective on the ever-widening gap between the poor and the state in Latin American politics. 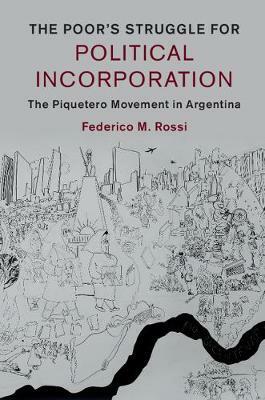 It presents a comprehensive analysis of the main social movement that mobilized the poor and unemployed people of Argentina to end neoliberalism and to attain incorporation into a more inclusive and equal society. The piquetero (picketer) movement is the largest movement of unemployed people in the world. This movement has transformed Argentine politics to the extent of becoming part of the governing coalition for more than a decade. Rossi argues that the movement has been part of a long-term struggle by the poor for socio-political participation in the polity after having been excluded by authoritarian regimes and neoliberal reforms. He conceptualizes this process as a wave of incorporation, exploring the characteristics of this major redefinition of politics in Latin America.